“The first recon mission to visit the Dark Front turned to disaster. We lost all members, except a single tank crew. The only ones to return home, they told us exactly what we didn’t want to hear: all their comrades had lost their sanity and turned on each other. 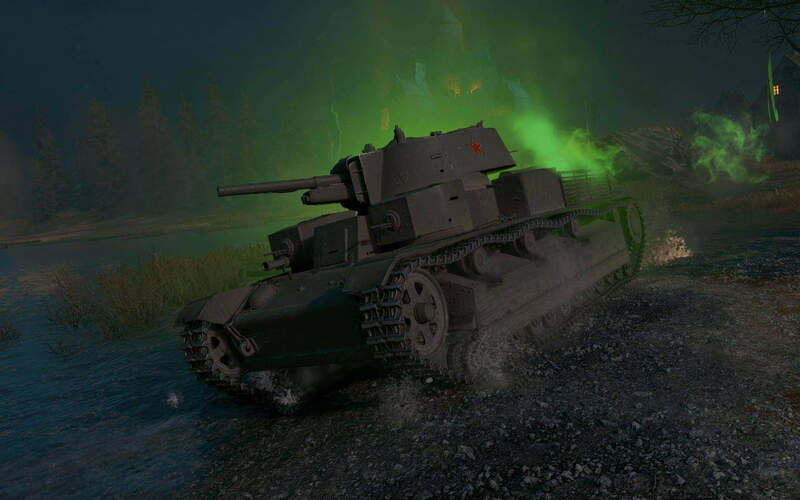 You are a member of the Dark Runners, a team of elite tankers on a rescue mission to destroy all tanks gone sinister and clean out Grim Nebelburg. Your primary objective is to roam the location and collect as much Green Matter as possible while taking out any sinister tanks. A line is forming! There are many Dark Runners queuing up to save Grim Nebelburg, so you may have to wait up to 4 minutes to get through the Portal. Serving you is your Revenant tank—an MT-25 modified specifically for the harsh conditions of Grim Nebelburg. It’s a hell of a task to take on, but luckily you won’t be going alone into the dark. 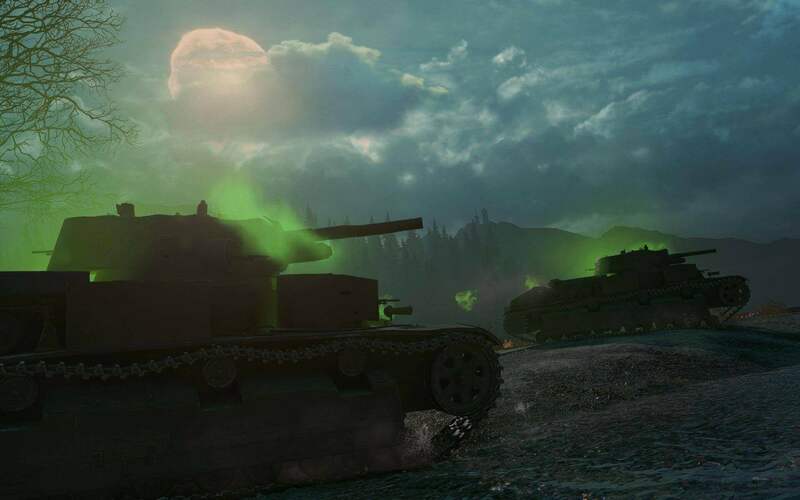 Team up as a platoon of up to five tankers or let fate bring you together as a group and unleash fury across the Dark Front. 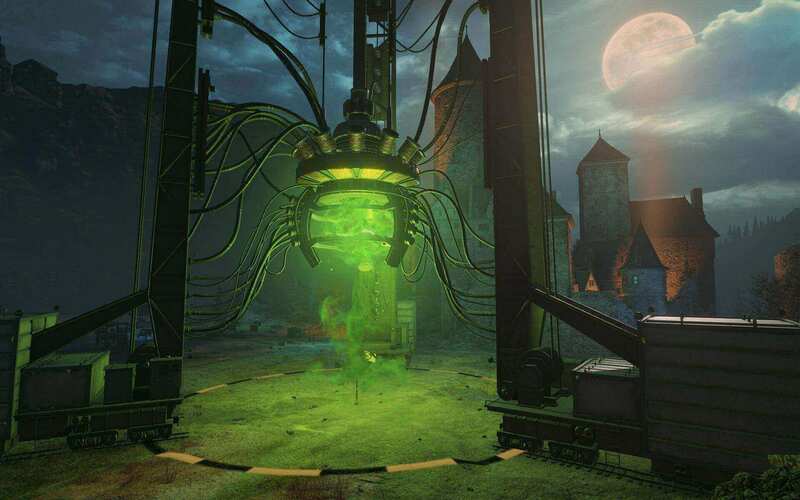 You can find the Green Matter on the ground in special cases but most of it is inside the sinister tanks—destroy them to collect it! However, tread carefully. There are hordes of undead foes, which come alive the moment they sense you near, so get ready to trick and treat them to a few rounds of shells! 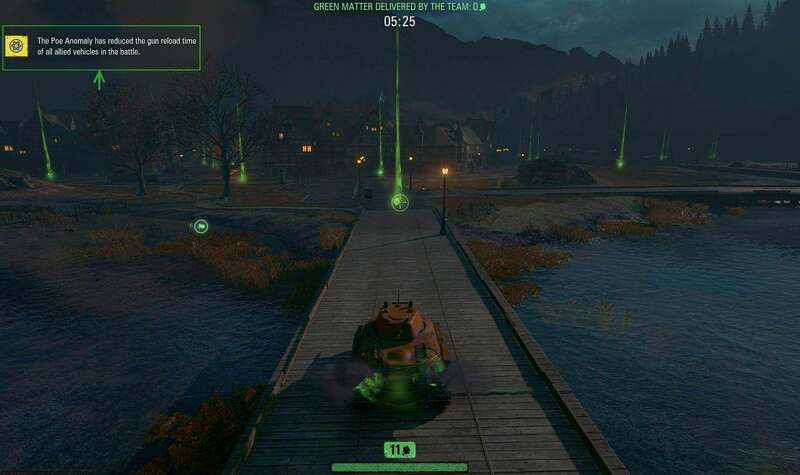 To reach maximum efficiency, set certain roles in your platoon, where attacking tanks will be backed up by those who carry the Green Matter to the Vault. Light. The easiest to reap and can hardly hit you. Don’t be afraid of head-on encounters. Medium. Can deal significant damage. Attack them in groups to emerge victorious. Heavy. Deadly rivals able to take off over 90% of your hit points with just a single shot. You’ll need more than just your skill to eliminate these machines. 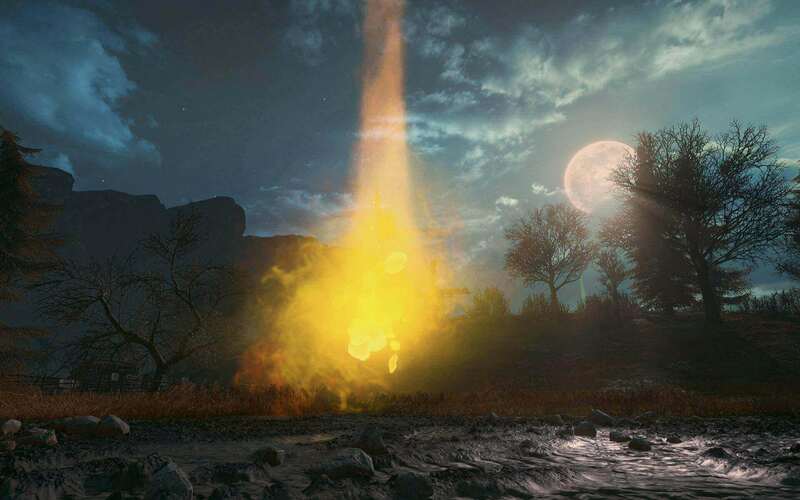 If the battle gets tough and you find yourself quickly running out of hit points, make a quick dash back to the Vault with its supernatural power: repair. 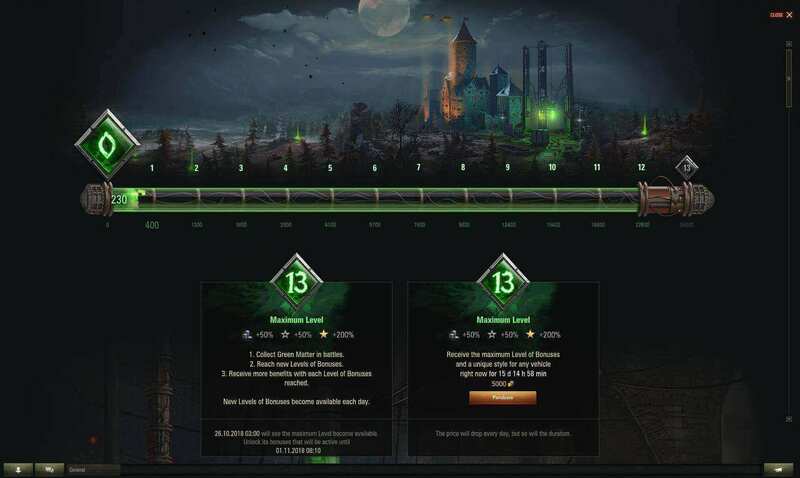 Once your HP pool is full again, rush back to help out your teammates. If odds are not on your side and your MT-25 gets destroyed, you will respawn alongside your brethren to continue your mission. Don’t give up though! 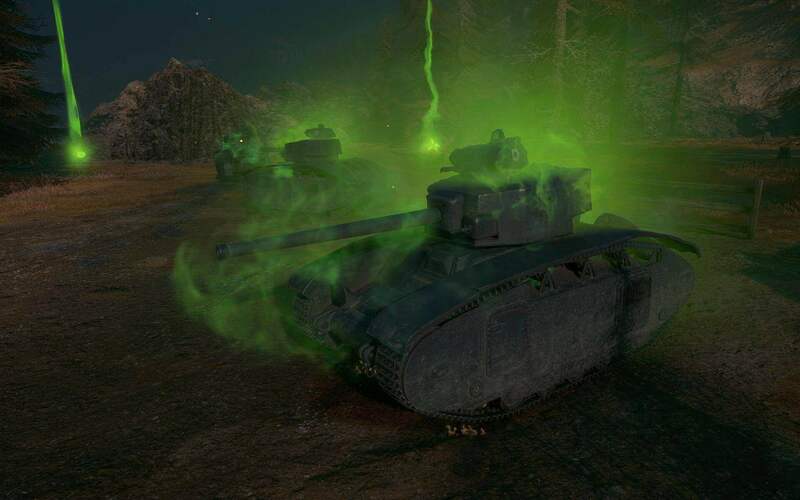 When your tank respawns, you’ll lose all the Green Matter you didn’t drop off at the Vault. 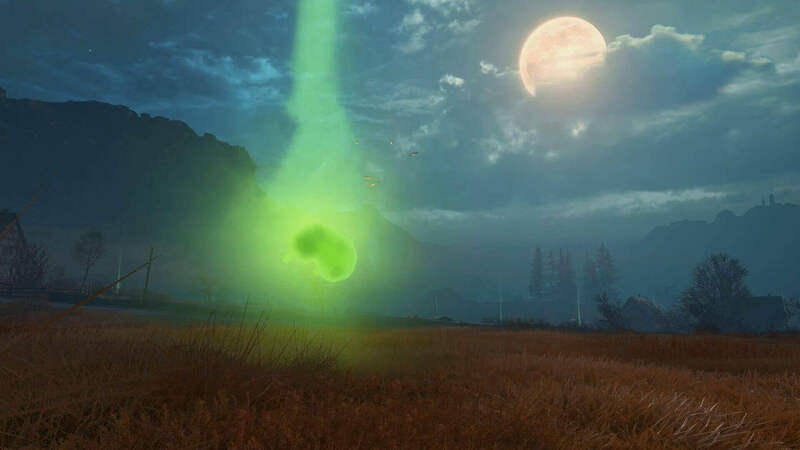 Every piece of the Green Matter you bring to the Vault will add to your squad’s overall amount accumulated by the end of a battle. The end amount then becomes the exact value received by every tanker on the battlefield. Keep in mind though: it’s your active input in battle that guarantees the reward. Standing still on base pays out nothing. Grim Nebelburg always brings surprises. 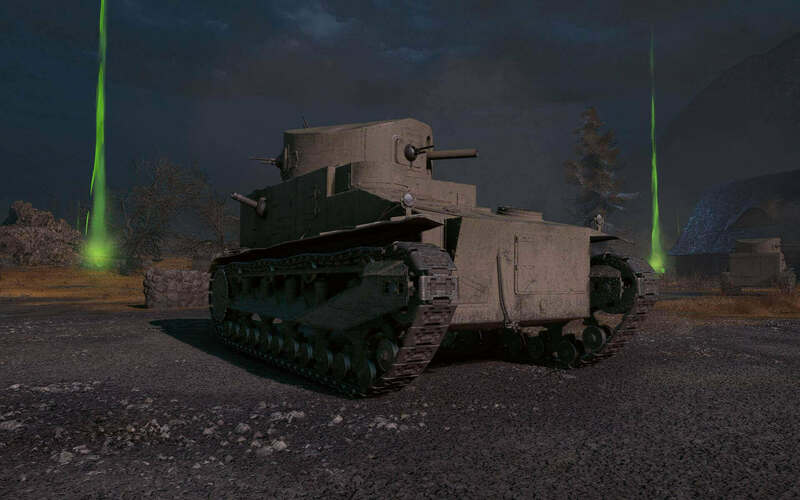 For every new battle, there’s a chance a combat modifier will engage, altering your tank’s regular characteristics. If it does, a notification will pop up in the upper left corner of your game screen in the 3rd minute of battle. Some mutagens can be found on the battlefield so keep alert to adjust your playstyle! 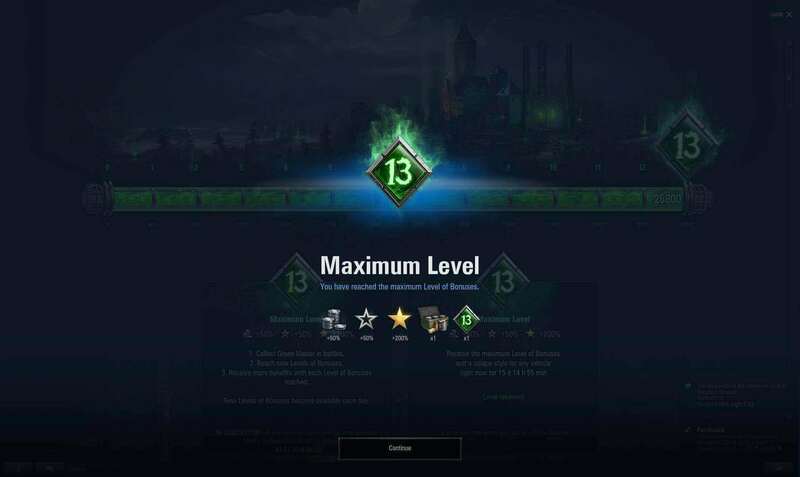 Just like with the Italian and British Challenges, the maximum Level of Bonuses will be available for purchase, but the mechanic will differ. The end price is time-dependent and will gradually decrease every day, until it reaches its minimum price on November, 4. The later the bonus is purchased, the less time you will have to take advantage of it. On top of that, each day there will be a special quest to give you even more for saving Grim Nebelburg. Presented as daily and weekly missions, these will reward you with Credits and additional Battle and Free XP. Finally, a special Halloween-dedicated style will take its rightful place in your collection, if you make it to the end. To reach full immersion, you’ll get a concerning change in color palette and atmosphere in the Garage. Don’t be alarmed, we are just giving you an idea of the current conditions of what’s happening through the portal. Finally, good luck! See you on the other side.